Travel planning can help you to have a safer and greater time on your vacation. Make sure you do your homework and before hitting the road you are prepared for your journey. Considering travel planning is essential and it will help to be prepared and avoid the surprises. Before heading to find the best flight deals, hotels or transport, just spend a bit of time to gather some information about the place and the people that you are going to visit. Travel planning benefits your safety and helping you to have more pleasant times and avoid problems which might affect your holiday. People are fascinating in different ideas of travelling. Some select sporting or adventure journeys and visit locations that ideally provide their desire holiday and some just like luxury resorts for their vacation or extremely interested in cultural travel. Regardless of which type of holiday you would like to pick, still the most important part of your journey is travel planning.Safety is very important element while you are on holiday. So before you decide for accommodation or low-cost airlines, it would be wiser to find out about the crime rate, the level of risk regarding your health, terrorist activities or kidnappers in your desired destination. -Find out what are the “do and do not “facts in your destination country. -Find out if there are some set of strict rules on appropriateness and modesty that you simply ought to understand beforehand. -Follow the rules in their land. -Search about people’s lifestyle and their culture. What do they believe and what do they like or don’t. -Wearing your jewellery or expensive watches it might be normal in your place but in different countries might reduce the level of your safety. How to do travel planning? -First thing on your travel planning is to check your passport and travel document in order to remain valid while you are travelling. -Write down the contact details and address of your country local embassy in your destination country and keep it safe in case of losing your passport or travel documents. -Make sure you have travel and health insurance and it will cover you while you are abroad. You can also check with your Bank or Credit Card Company. Some of them offer Free or low-cost travel insurance. -Consult with your doctor for your travel destination. For certain countries, you might need to be vaccinated against (for example yellow fever) to provide a certificate. -One of the most important things in your travel planning is to inform your bank of your destination place. Sometimes you can get surprises from your Bank or credit card companies when you are paying your bills abroad. -If you travelling by your Car make sure you do the full car service. Ask your garage to check your car alarm. If your car is not ready for long distance, then the Car Rental or Car Hire it might be a better and more economical option. But if you are taking your car make sure your car insurance will cover your holiday’s time. -Do advance booking for your flight, hotel or accommodation and Car if you need one. -Book your Hotel (click here to check the prices). -List down what attractions would you like to see and ask us if we can find a deal for you. -Arrange your transport from the airport to your hotel. -Download “To Do Things” list to use for your travel planning on your vacation. -Download Travel pack checklist here. Remember when being on vacation, things can go wrong, so stay calm and don’t shout or be aggressive. Sometimes you will get negative results from your action that can ruin your happy time. Look forward to happiness and try to talk and solve the problems. You always have time for a complaint. So stay happy and enjoy every minute of your Vacation. 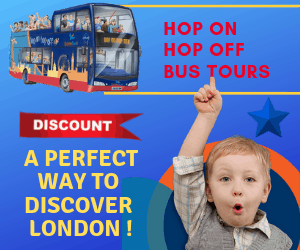 Finally, if you are travelling to London we can provide you with the best London Hotel deals. 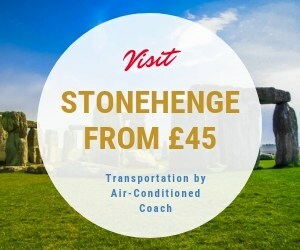 We can offer you the best price for your Hotel, UK attraction tickets with discount and airport transfer. (Shuttle, Taxi or Trains) If you need updated information Contact us, we do our best to provide you with the information.